ARBURG Ltd helped COBA Plastics Moulding’s growth climb higher in 2018, supplying four new, modern generation ARBURG moulding machines to increase productivity at the fast-growth manufacturer of automotive components. The plastic mouldings division of the COBA International group of companies, purchased in 2016 as CD Plastic Mouldings, mirrored its parent’s growth curve, needing four new ARBURG machines to keep up with orders; three ARBURG ALLROUNDER 320 C 500 -170 Golden Edition with 50 tonnes clamp force and one ARBURG ALLROUNDER 420 C 1000 -290 Golden Edition 100 tonne machine, which were delivered and commissioned in August 2018. 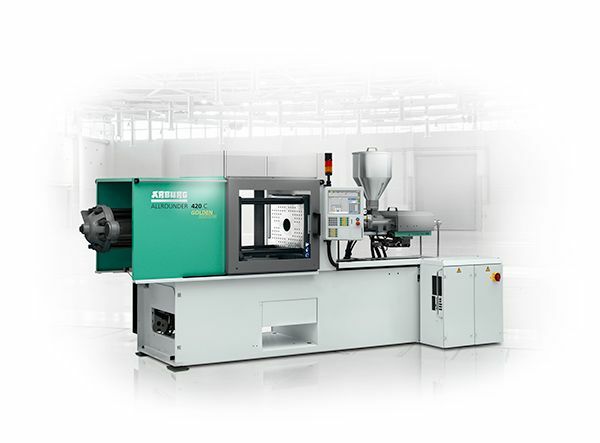 The three 320 C machines were delivered with ARBURG servo electric integral pickers to maximise efficiency. The 420 C was delivered with the smallest option screw/cylinder assembly. The products manufactured by these machines are established COBA products that required more focused equipment configurations. “In particular, the 420 C was specified with the small screw/cylinder option to meet quality and efficiency requirements for a specific product type,” Chris adds. The investment is part of a bigger investment story at COBA International, a full-service, mid-sized, international manufacturing business with a long-term strategy. The COBA Automotive S.r.o. plant in Slovakia was the first in the group to use ARBURG machines. The factory in Terchova, Slovakia serves the company’s mainland European customers, and the decision to increase the moulding operation in the UK at COBA Plastics Moulding Ltd, means that COBA can predominantly focus its manufacturing operations in Britain to efficiently supply UK OEMs. The COBA Plastics Moulding plant in Whetstone now has 24 moulding machines ranging in clamping capacity from 50T to 420T, of which twelve are ARBURGs, nine of which are under 18-months old. “The machines were chosen for their performance and reliability, but also support COBA’s strategy to standardise on the ARBURG brand for operational efficiency,” says Chris Ellis. “Investment in the ARBURG machines installed at COBA Plastics Moulding Ltd supports its strategic plan to further develop COBA’s automotive business in the UK. While in Britain the automotive sector had a difficult 2018, COBA has a diversified customer base, supplying many of the world’s largest automotive manufacturers from 10 facilities in seven countries including Germany and Slovakia. Its plastics division produces a huge range of extruded and moulded rubber and polymer interior and exterior parts, from trim retainers, cords and map pockets to roof rails, exterior trim and under bonnet seals. The company’s injection and over-moulding capabilities supplies moulded parts such as gap fillers, fasteners and pins for a variety of seating and interior applications. COBA also makes non-automotive components including medical and packaging, and it provides value-added finishes including chrome plating and hot foil stamping. This diversity and devotion to customer delivery has helped the business grow steadily. “When a company like COBA Plastics Moulding chooses ARBURG again for high reliability, high usage applications in a non-compromising, just-in-time industry, it proves that our machines are among the most reliable and accurate in the market,” says ARBURG Ltd managing director Colin Tirel.